Compared to ordinary automobiles, the very nature of motorcycles makes them both more susceptible to crashes and less likely to protect the rider from injury. Injuries from these accidents can be horrific and permanent, altering the victim’s life forever. If you are a victim of a motorcycle accident, the best way to ensure you get the necessary medical treatment and care is to get the legal help you need to sort out the causes, the people who may be responsible for the accident, the damages you have already suffered and the damages you may suffer in the future. The St. Joseph legal team at Murphy, Taylor, Siemens & Elliott P.C. 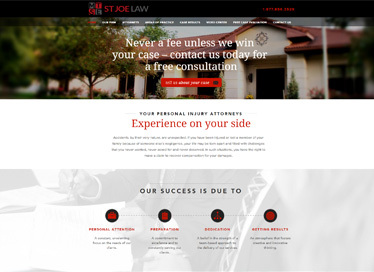 has a combined 100 years of trial experience including many motorcycle accident cases. We know the questions to ask, the evidence to look for and the impact that these accidents have on peoples’ lives. Their size makes it harder for other motorists to see them. Two wheels rather than four means less stability, and the greater likelihood of skids on wet or loose road surfaces. The need for riders to “lean into” turns decreases stability even further. The noise of the motorcycle engine can drown out other sounds that would otherwise warn the rider of danger. Although motorcycles are far outnumbered by cars on the highways, they are also outweighed and under-protected. The result: motorcycle crashes aren’t nearly as numerous in Missouri as car crashes, but they are more lethal when they do occur. In 2011, a bit over 36 percent of all Missouri automobile crashes resulted in a death or personal injury; for motorcycle crashes, the figure was a massive 80 percent. Combined, these factors significantly increase the chances of serious brain, head, neck and other neurological injuries — the very injuries that have the most drastic long-term consequences. Serious skin damage and scarring are also common, as are broken bones and dislocated joints. A substantial portion of all motorcycle accidents involves only the motorcycle. A study of motorcycle accidents nationwide in 1996 found a full 40 percent to be single vehicle accidents. All the causes of single vehicle motorcycle accidents may also produce multiple vehicle accidents. For example, whether a motorcycle that slides on gravel simply falls over to produce a one-vehicle accident or slides into the path of an oncoming car is simply a matter of chance. However, about one of every three multiple vehicle accidents that involve motorcycles occurs because an automobile turns into the path of the motorcycle. For such a simple machine, motorcycles produce some incredibly complex cases when they are involved in accidents. Simply reconstructing the accident to clarify what happened, when and why is a major undertaking. At Murphy, Taylor, Siemens & Elliott P.C., we prepare each of our cases with diligence and careful attention to the things that really matter. Our experience has shown us the value of using focus groups to get valuable insight into what aspects of the case matter the most, which parts of the case need further development and what the realistic settlement options are. When and if we walk through the courtroom door, we — and you — will be ready. Call us at our St. Joseph office today to schedule a free case consultation.